At the heart of Costa Rican language and, in many ways, the heart of the way your father talks, is the word “m ae.” A little like “man” (as in “hey, man”), a little like “dude” (in a certain time and place), with complex origins and rules of use I won’t get into here, it is the way many Costa Rican men – and, from what I’ve seen, some women in specific contexts – address each other. I call your dad El Mae, or El Mejor Mae que Hay. 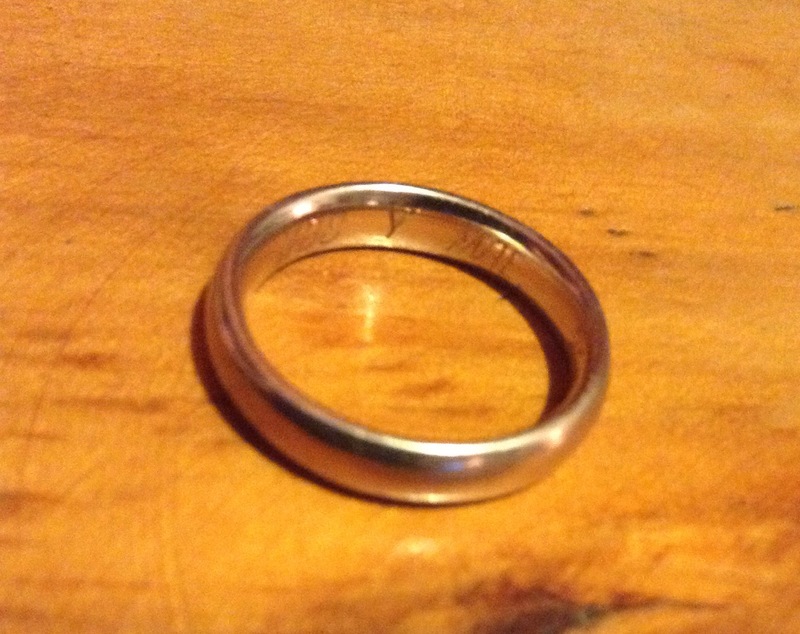 Before you were born, we called you “la maecilla.” It’s actually engraved inside my wedding ring, as a bit of a joke. I kept trying to think of something to put in there that would capture the feel of us in a few characters. When the woman told me to just put your dad’s initials, I smiled and gave them to her: M. A. E.
The thing with “mae” is that when your dad, like a lot of Ticos, really gets going, he can fit it into a single sentence about ten times. I noticed this when we first started dating and we’d get into a taxi. “Mae, a Vargas, mae, pero subimos por Sabanilla, mae, entrando por el antiguo Gallo Pinto, mae.” I loved it. One night, I made fun of it, and instantly regretted it. All he said was, “Oh,” but the next time we got into a taxi, his instructions were mae-less. I felt awful. Over a period of weeks, I was able to reinstate the reign of mae in our lives. When he talks to your beloved uncle about a Saprissa game, it’s a popcorn of maes, the way it should be. The second thing I realized was more general, and this is what I really want to tell you. It’s how vulnerable the people we love really are when they are with us. No matter how serene and confident and calm people might seem, no matter if they are much older and wiser, we are all babies underneath. We are toddling around on fat little legs hoping for a pat on the head. Unless we are unusually toughened by terrible circumstances, we are so easily hurt, so quickly bruised. When it comes to the people we trust the most, a careless putdown can shake the very maes from our sentences. It is a little easier for me to remember this now, when I have you running through my life in a diaper and covered with magic marker, tossing Cheerios into the universe wherever you go, but I hope I will remember it always, and I hope you will remember it too: that even as husbands or wives, partners or friends, maes or men, we are babies first and foremost. We live best when we treat each other the way we would if we really understood that every day. That is to say, with reverence, with respect, with a careful, almost breathless love. *Thanks, Raquel Chanto, for this phrase, which got me thinking! I absolutely love your blog, every posting is like a mini treat. I am British and moved here two years ago, I can relate to a lot of what you say and it makes me smile. You put into words so beautifully and with humour what I find sometimes tricky to articulate. Thank you! Your daughter sounds so cute and wonderful, how lucky she is too to have a mum like you. Thank you so much, Zoe! You made my day. The mae is really a culture here in CR… I heard once someone say: Qué mae más mae es ese mae! I guess only one who lives in Costa Rica fully understands the meaning of a meaningless phrase like that one… Love your blog by the way! Ha ha – that is hilarious, Jeanina! That’s a whole new level of mae-ness… Thanks so much for your comment! Absolutely fantastic! You have such a “mae”velous way with words. Please keep them coming !